This tiny shop is one of only a few places on Salt Cay to buy food supplies. Most of the item sold here are dry goods, but there are some cold drinks and basic dairy products and produce. 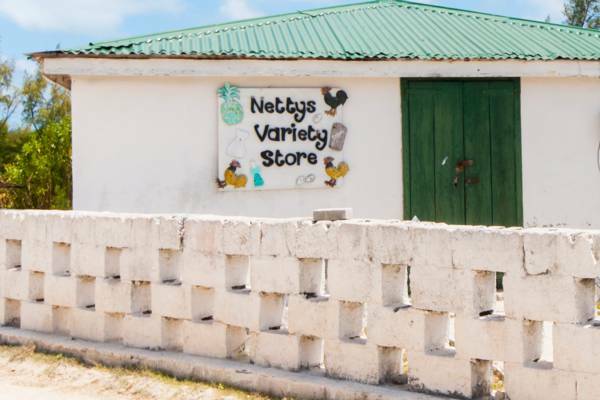 Netty's shop in Blafour Town, Salt Cay.